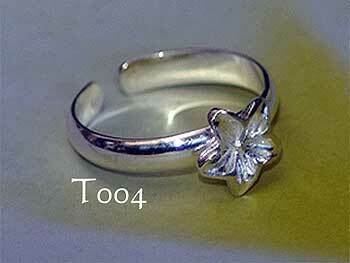 Sterling silver Hawaiian Plumeria (frangipani) toe ring. Features high polish finish and hand carved flower markings. Flower diameter 8mm. Band width 3mm. One size fits all.